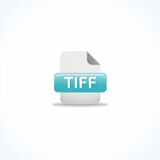 How can I open a TIF file? Which tool do i need to convert an image online to the TIF format? The answer is ConvertImage! The TIF format is a kind of file in high resolution which can manage multiple pages within the same document compressed in LZW. It can only be opened by using professional graphic and design software. ConvertImage is a website allowing to change the format of your JPG, PSD and PDF images very simply & for free, as you don’t need any software. It is very practical for a daily use! In addition to converting your picture in the TIF format (TIF Picture format (Tagged Image File)), ConvertImage can also crop or rotate your photo online or add special color effects, and insert a watermark (text or PiP). Yes, it is a real web photo editing system.